As Tennessee seeks to develop a more focused effort on technology-based economic development, Connected Tennessee, under the guidance of the state, will compile and maintain an inventory of industrial and business park broadband availability that will be made available to all economic developers in the state. 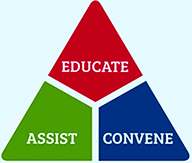 Working in partnership with specialists from the Tennessee Department of Economic and Community Development, Connected Tennessee will offer direct technical assistance to the local technology planning teams that have completed their initial technology plans. Connected Tennessee will also provide cost modeling and infrastructure assessments for local communities and conduct state level surveys in the third and fifth years of the program and county level surveys in the fourth year. According to Connected Tennessee, there are thousands of disadvantaged Tennesseans who are unable to participate in the educational, economic, and civic opportunities available online simply because there are no computers in their households. Connected Tennessee’s Computers 4 Kids project intends to focus on economically vulnerable youth in the Volunteer State by deploying laptops, academic support programs, and workforce training to two disparate, but especially at-risk, populations: those in the state’s foster care system that are “aging out” as they turn 18, and youth that are active in the state’s 76 Boys & Girls Clubs. The project plans to provide younger children in the Boys & Girls Clubs with broadband access in a safe environment via its Club Tech program. The East Tennessee Middle Mile Fiber Broadband Project plans to deploy a 544-mile high-capacity fiber-optic broadband Internet network. More than 50 community anchor institutions in five Eastern Tennessee communities, from Chattanooga through Knoxville to Johnson City and Bristol, will be connected to the high-speed middle mile network. The project intends to offer speeds of up to 10 Gbps to higher education and healthcare institutions, and spur more affordable broadband Internet access for up to 34,000 households, 5,000 businesses, and 270 anchor institutions by allowing local Internet providers to connect to the project’s open network. The Expanding Broadband Access Across Tennessee project proposes to build four new access points on Level 3’s existing broadband network to enable last mile providers to offer affordable high-speed services to underserved areas. The additional points of interconnection will offer broadband speeds between 50 Mbps and 10 Gbps on an open and nondiscriminatory basis to last mile Internet service providers. Similar to on-ramps to the interstate highway system, these points of interconnection will enable last mile providers to transport data to the Internet backbone and provide affordable service to anchor institutions, homes, and businesses. The project could enhance broadband capabilities for as many as 188,000 households, 9,600 businesses, and 150 community anchor institutions, including schools, government agencies, and healthcare providers. Frequently lacking high-speed broadband services like VoIP or videoconferencing that are available in more urban areas, community anchor institutions in this five-county region of north central Tennessee have been severely limited in their ability to provide critical services to residents. Local broadband provider OnWav proposes to build a new 127-mile microwave and WiMAX fixed wireless network offering middle mile speeds from 133 Mbps to as high as 400 Mbps in selected municipalities of the counties of Fentress, Pickett, Clay, Jackson and Overton. 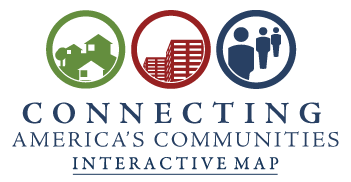 OnWav’s Five County Broadband Interconnected Training Access project also expects to bring service speeds of up to 10 Mbps to local anchor institutions, with free interactive public training facilities and discounted rates. The project proposes to erect three new towers to support both middle mile and last mile service, designed with the local mountainous topography and sparse population in mind. Many of Tennessee’s libraries that serve economically vulnerable populations are increasingly unable to meet the bandwidth needs of their constituents. The Tennessee State Library & Archives proposes to expand 29 public computer centers as part of its Bridging the Gap project, which will leverage the support of local community organizations to stimulate participation among patrons in the community. Seventeen libraries will add equipment, staff, connectivity, and software to support the educational and career goals of Tennessee’s most disadvantaged citizens, including those with high levels of poverty, unemployment, or disability, as well as senior citizens and youth.